It’s kinda like having a Raptor if the Raptor were wearing a suit and tie. That is how one might describe this latest news from truck country: the 2019 Ford F-150 Limited is getting the Raptor’s high-output EcoBoost V6. The “Limited” trim is exactly how it sounds – it’s the fanciest F-150 on the mountain, likely described as “loaded” by the dealer. “They wanted more power, so we combined Raptor’s engine with Limited’s business-class features to deliver Baja fierceness, boardroom style, and the grit to tackle tough jobs,” said Todd Eckert, Ford Truck Group Marketing Manager. Premium amenities include a Miko suede headliner, leather-topped instrument panel, and Camel Back two-tone leather seats. The front seats have the “Active Motion” feature, meaning they provide extra lumbar support with a massage function for those longer trips. Even the holes in the micro-perforated leather are enlarged to improve the cooling performance of the ventilated captain’s chairs. 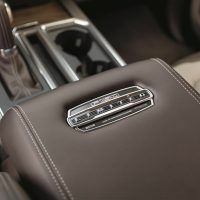 There’s a heated steering wheel, twin-panel moonroof, and a special laser-etched plaque on the center console armrest which displays the truck’s serial number. 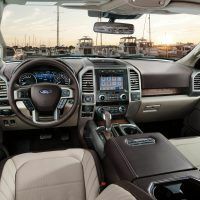 Years ago, a tape player was considered a luxury in trucks, but the 2019 Ford F-150 Limited comes to the party with a standard B&O PLAY audio system by HARMAN. Toss in the Wi-Fi access for up to 10 devices and Apple CarPlay and Android Auto compatibility and it’s a rolling hot spot. Those big towing jobs are helped along by an integrated trailer brake controller and a 360-degree camera with a split-view display, useful when hitching up. 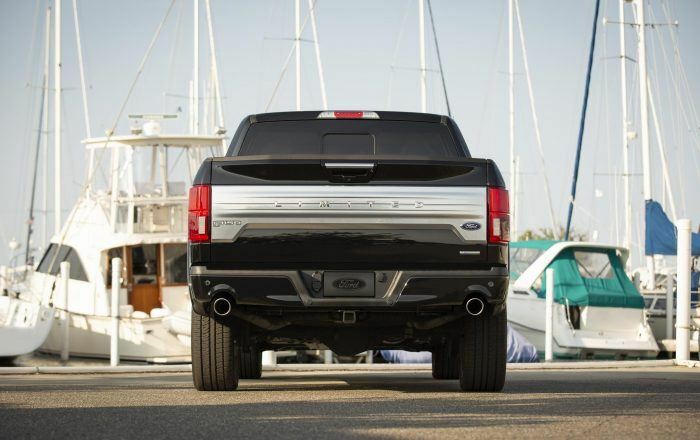 Optional is the Pro Trailer Backup Assist feature; drivers rotate a knob to control its direction, with the F-150 automatically steering to follow the course selected. 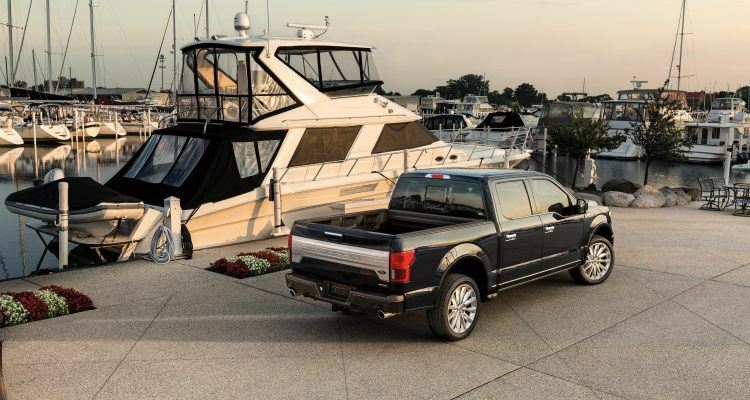 Expect the 2019 Ford-150 Limited in dealerships later this year. 1 Comment on "2019 Ford F-150 Limited: Rolling Out The Red Carpet"
Can’t wait to know more about it. Thanks for the article.